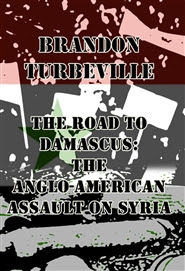 “Activist Post writer Brandon Turbeville has just released his sixth book: The Road To Damascus: The Anglo-American Assault On Syria. Brandon Turbeville presents a detailed and wide-ranging discussion and exposé of the unfolding crisis in Syria. He argues that the tragic events still currently taking place inside embattled Middle Eastern nation are not the result of an organic revolution, but rather is a carefully orchestrated outside assault against the people of Syria and their government by Western powers such as the United States, Britain, France as well as Israel.